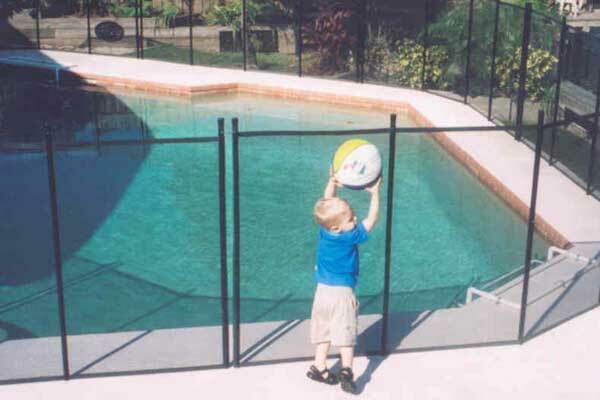 CHILD GUARD is the Better Business Bureau's highest rated child guard safety fencing company in the entire Tampa Bay area with its "A+" rating. "Not a single complaint in our 7 years of business." You can check us out at the Better Business Bureau website. You will see that we are the highest rated Child Safety Fence company in the bay area, An A+ rated, Accredited Business. All installers are Fully Certified. CHILD GUARD uses an interwoven and interlocking fiberglass mesh coated with a marine-grade nylon. The mesh is nearly transparent and offers an extremely strong and attractive barrier. Our tightly woven mesh prevents tiny fingers and toes from climbing, yet doesn't obscure your view. Available in 4 foot heights, our mesh is further reinforced with a marine grade vinyl border for added strength and durability.